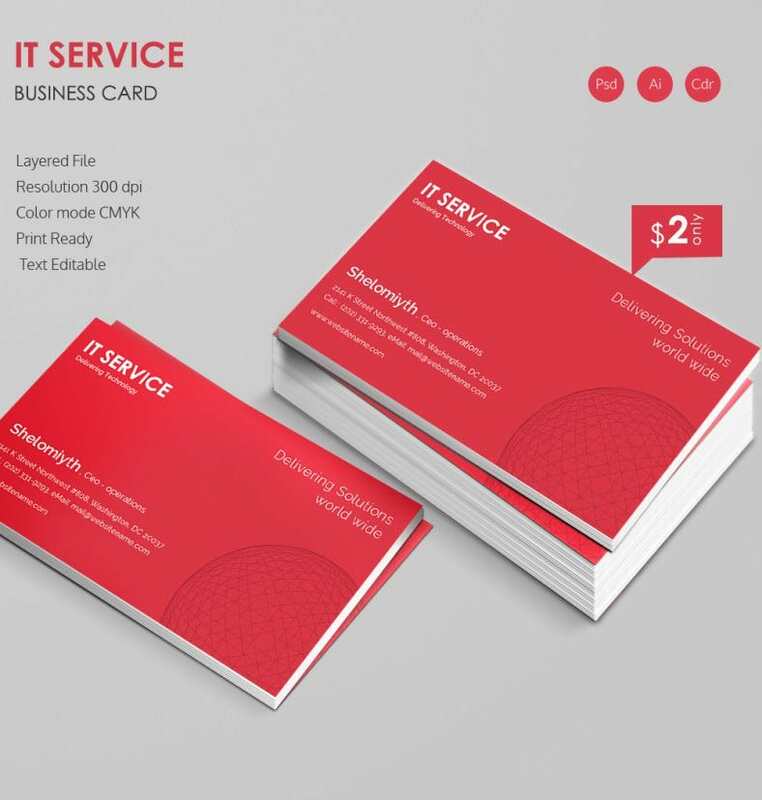 If you are looking for something different than the traditional mundane white background for a business card, this red IT service Business Card would be amazing for you. The scarlet appeal speaks of an elegant and smart professional coupled with the desired dose of glamour. 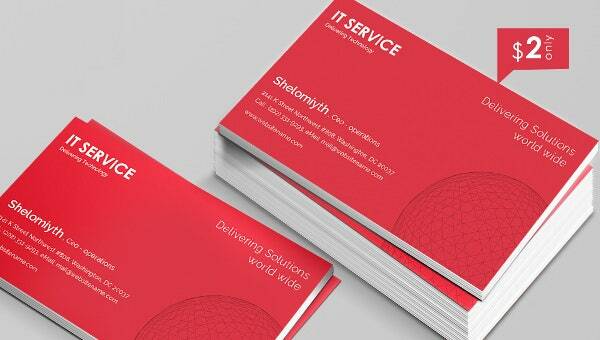 The impression of the globe at the right speaks of your worldwide services. You will include the name of your company at top left followed by your name, designation and contact details at the bottom. The card mockup assures an easily editable text which you can anyday customize with your company and specific contact details.